**Warning: “Military Phonies” is false reporting: sham website! The Crossroads: Hawaii– the place that all the world knows as paradise, the most remote land destination on earth, may hold a clue for humanity during this, our critical, defining moment in all history. This book reveals why Hawaii is the crossroads of our “grand mystery”. The Hawaiian people, their legends and culture, the power of their ancient “Kahunas”, even the location of the islands themselves may hold a key to our “human puzzle”. Isolated in the greatest of our oceans at 19.5 degrees latitude, the ancient “Sacred” (Tetrahedral) Geometry reveals a “Modality of the Human Estate”, in the form of a “macrocosm”, the “Seven Chakra Islands” that the human reality knows also as its “metaphorical dream of paradise”, and “the connection home” to origin. 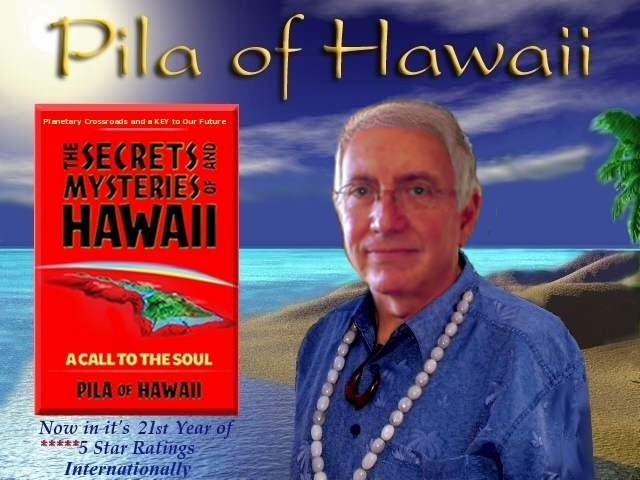 “The Secrets & Mysteries of Hawaii” will take you on a journey through time and touch your soul with the life-transforming power of sacred sites, wisdom and myths of the islands, their heritage and much more. Whether you are planning a trip to the place the world calls paradise, or are searching for insights into your own spirit and purpose, Pila of Hawaii will open you to the greater dimension of Hawaii’s exquisite beauty and power. 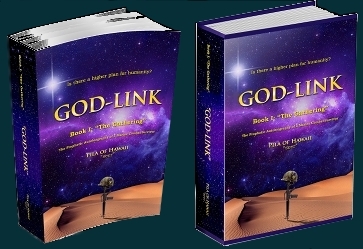 “Read GOD-LINK. I dare you, I double damn dare you. I’ve read 100’s of scripts in my career in Hollywood. PROJECT HAWAII: “Firefly Village®” is a proposed “green” community/ resort for Hawaii, centered around “futuristic studies and eco-tourism”. Phase I is a joint venture with tradition, involving a hotelier on Mau’i, Wailea area. The Old Paradigm is finally seeing “the good business” of the vision. Phase II employs the full vision, encompassing single family residences who wish to “retire on vacation”. The community shall support a town square for Hawaii tourism, as well as a university for health, rejuvenation research. At the epicenter of this focus is a “mystery school”. The “no carbon footprint” infastructure will actually produce more energy than it uses; thereby making the concept a viable “modality for a New Paradigm”, while encouraging eco-tourism in the corporate conferencing arena.